Today we are updating Locaslcope to v3.3, to fix the broken Facebook results and some minor updates to the ParkMe integration. Recently, Facebook updated their API in a way that Facebook results for a location were not available to users of Localscope. v3.3 fixes this, users can again see results around them from the Facebook service. With the previous release, we introduced integrations with 6 new regional services to provide the most relevant local information to our users across the world. Zomato, the most popular directory of restaurants, clubs and other businesses in India and 4 other countries is expanding their reach and is now available in 2 new countries - Phillipines and South Africa (from 10th April). This new information will automatically be available to Localscope users in Manila and Johannesburg, enabling them to explore new local destinations in their areas. 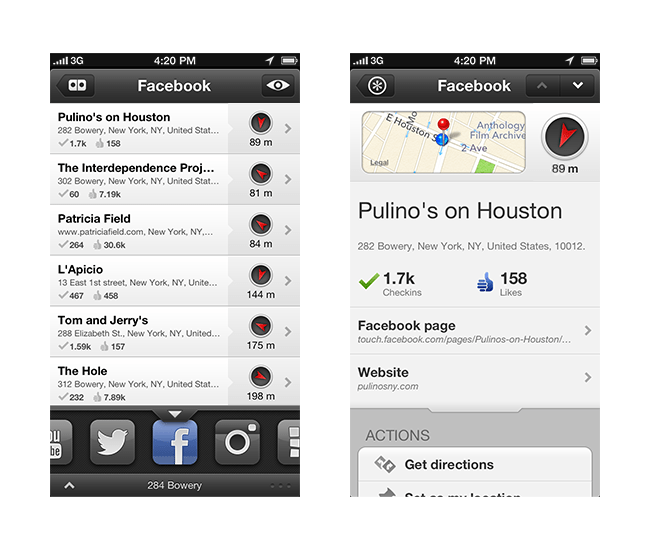 Head to the App Store to get the updated version of Localscope!